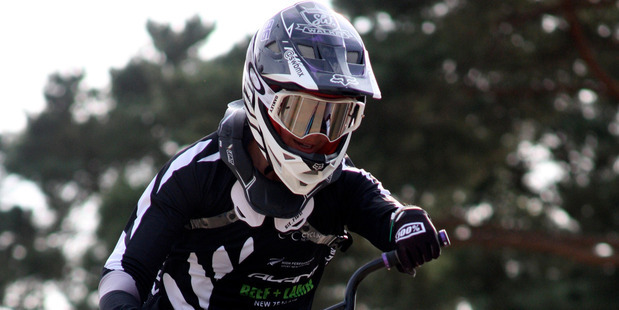 Sarah Walker and Trent Jones led the way for a superb day for New Zealand BMX riders at the UCI Oceania Continental Championships near Pukekohe today. Jones dominated the elite men’s final while Walker, on her return to the sport after an injury-plagued last two years, edged out world number four Caroline Buchanan by the narrowest of margins to win the elite women’s honours. 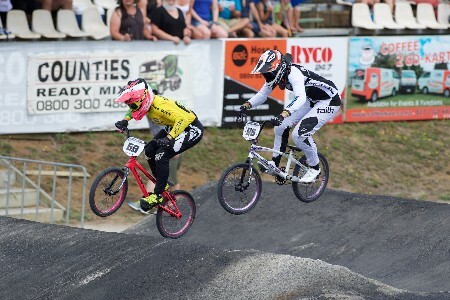 Auckland teenager Maynard Peel gave the host Sunset Coast BMX Club plenty to cheer about with an impressive victory in the elite juniors, while classy Australian Saya Sakakibara claimed the junior women’s title. It proved an outstanding day especially for Walker and Jones as they press their claims for the Rio Olympics, with today’s event carrying valuable qualifying ranking points. Walker, the London Olympian, has been forced to deal with significant injury since early in 2012, but arrived at today’s championships fitter, stronger and healthier than for some years. She forced her way up to Buchanan on the final straight to pip the Australian in the final moto to give her the overall Oceania title on countback. With the women’s title decided over three straight races, Walker finished third in the first race after a wide lane draw but absolutely nailed the second race to lead from the snap. Buchanan and world number seven, Lauren Reynolds (AUS) made the early running in the deciding moto, but Walker fought back on the second straight and showed her handling talents to haul in Buchanan on the final straight, with a photo-finish required to separate the pair. “All the hard work we have been doing in training obviously paid off because I managed to just get past down the finishing straight,” Walker said. In the men, Jones, world number five ranked Sam Willoughby and fellow Australians Bodi Turner and Corey Frieswyk headed the four qualifying groups after their three motos. Frieswyk impressed to edge out his Australian compatriot Matthew Juster in the first semifinal with Te Awamutu’s Cody Hobbs, returning after two years out of the sport, third ahead of Willoughby who had to recover after a poor gate. Jones was pushed hard but held off Turner, Josh Callan (AUS) with his Cycling New Zealand high performance teammate, Matt Cameron claiming the final qualifying spot. Jones, ranked 15th in the world, made a strong start to the final around the first turn before being challenged by Turner as the pair went aerial over the big jump on the second straight. Turner got his line wrong and crashed heavily while Jones survived and from that point was in control to claim the win ahead of Juster and Frieswyk with Willoughby back in fourth. “It’s an awesome weekend for me and I couldn’t be happier,” Jones said. “Two wins in two days is great. “I picked up my game today. Personally I find it easier with the tougher competition because you can’t make a mistake and the motivation is easier for me. “I am a racer and prefer to beat people and therefore I sometimes find it tougher to self-motivate when the competition is not as strong. “This result adds some buffer for me in the rankings to hold that Olympic spot, with Rio the big target this year of course. 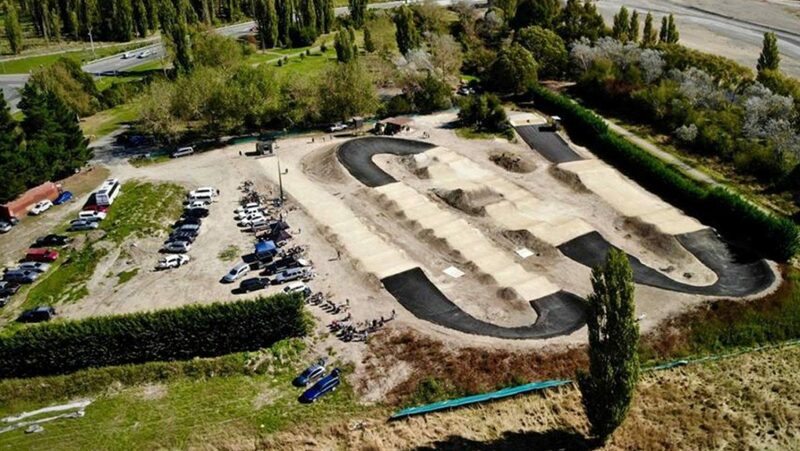 All elite riders will now look to prepare for the opening round of the U”CI Supercross World Cup in Argentina at the end of March, with the Olympic qualifying process completed at the world championships in Colombia in May. Elite men, final: Trent Jones (NZL) 1, Matthew Juster (AUS) 2, Corey Frieswyk (AUS) 3, Sam Willoughby (AUS) 4, Cody Hobbs (NZL) 5; Matt Cameron (NZL) 6, Josh Callan (AUS) 7, Bodi Turner (AUS) dnf. Semifinal 1: Frieswyk 1, Juster 2, Hobbs 3, Willoughby 4. Semifinal 2: Jones 1, Turner 2, Callan 3, Cameron 4. Elite women, 3 motos: Sarah Walker (NZL) 3rd, 1st, 1st, 5 points, 1; Caroline Buchanan (AUS) 1st, 2nd, 2nd, 5 points, 2; Lauren Reynolds (AUS) 2nd, 3rd, 3rd, 8 points, 3; Kirsten Dellar (AUS) 4th, 6th, 4th, 14 points, 4; Leanna Curtis (AUS) 5th, 4th, 5th, 14 points, 5; Hannah Sarten (NZL) 7th, 5th, 6th, 18 points, 6; Rachelle Smith (AUS) 6th, 7th, 7th, 20 points, 7. Junior elite men, final: Maynard Peel (NZL) 1, Joshua Boyton (AUS) 2, Matthew White (AUS) 3, Andrew Hughes (AUS) 4, Jayden Fleming (NZL) 5, Josh Smith (NZL) 6, Bayleigh Rees (NZL) 7, Joshua Mclean (AUS) 8. Junior elite women, 3 motos: Saya Sakakibara (AUS) 1st, 2md, 1st, 4 points, 1; Rebecca Petch (NZL) 2nd, 1st, 2nd, 5 pts, 2; Zoe Fleming (NZL) 3rd, 3rd, 3rd, 9 pts, 4; Courtney Brunton (NZL) 4th, 4th, 4th, 12 pts, 4; Dion Bromley (AUS) dnf. 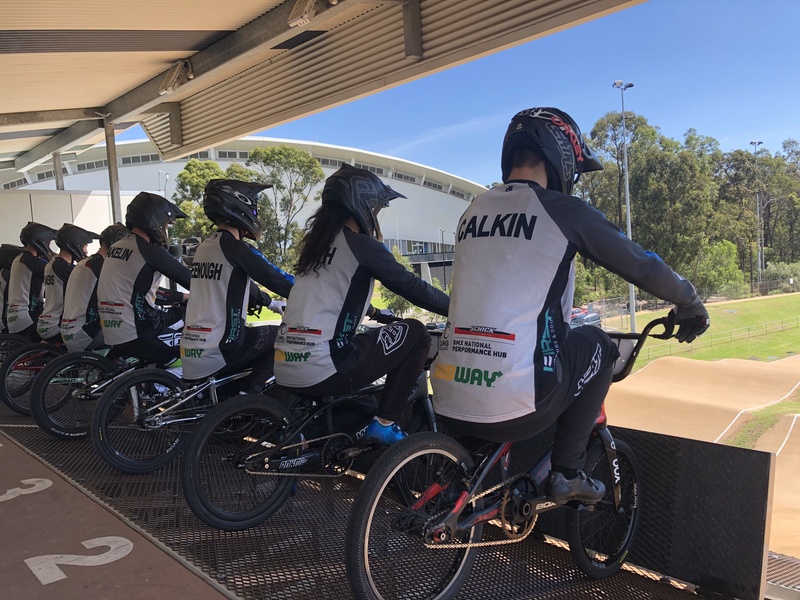 CAPTIONS: Sarah Walker closes on Caroline Buchanan in the deciding race to win the UCI BMX Oceania Championship titles at the Sunset Coast BMX Club near Pukekohe today.